Louise de Coligny (23 September 1555 – 9 November 1620) was a Princess consort of Orange as the fourth and last spouse of William the Silent. She was the daughter of Gaspard II de Coligny and Charlotte de Laval. Charlotte de Laval, Dame de Châtillon, was a French noblewoman from one of the most powerful families in Brittany. She was the first wife of Gaspard de Coligny, Seigneur de Châtillon, Admiral of France and a prominent Huguenot leader during the French Wars of Religion. She was the mother of Louise de Coligny, the fourth wife of William the Silent, Prince of Orange. The present British Royal Family directly descends from her. Louise was born at Châtillon-sur-Loing. Her parents saw to it that she received a humanist education. When she was sixteen, she married Protestant Charles de Téligny (1571). Both he and her father were murdered at the St. Bartholomew's Day massacre. Like her murdered father, she was a French Huguenot and after the massacre (August 1572 -Paris), she spent ten years in the Swiss Confederacy. Charles de Téligny was a French soldier and diplomat. She then married William the Silent on 24 April 1583. She became the mother of Frederick Henry in 1584, William's fourth legitimate son and future prince of Orange. It is said that she warned her husband about Balthasar Gérard, because she thought him sinister. Catholic Gérard murdered William in July 1584 in Delft. Frederick Henry, or Frederik Hendrik in Dutch, was the sovereign Prince of Orange and stadtholder of Holland, Zeeland, Utrecht, Guelders, and Overijssel from 1625 to 1647. He was the grandfather of William III of England. Balthasar Gérard was the assassin of the Dutch independence leader, William I of Orange. 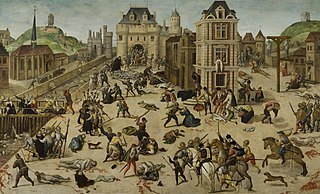 He killed William I in Delft on 10 July 1584, by shooting him twice with a pair of pistols, and was afterwards tried, convicted, and gruesomely executed. After her husband was murdered, she raised their son and William's six daughters from his third marriage to Charlotte of Bourbon. 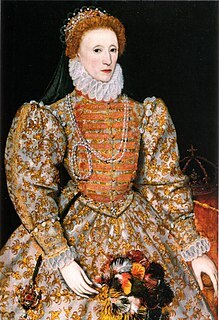 During her life she remained an advocate for Protestantism and she corresponded with many important figures of that time, like Elizabeth I of England, Henry IV of France, Marie de' Medici and Philippe de Mornay, as well as with her many stepchildren. She remained in the Dutch Republic until 1620, after the denouement of the political conflict between her stepson, stadtholder Maurice, Prince of Orange (son out of the marriage of William the Silent with his second wife Anna of Saxony) and the Land's Advocate of Holland, Johan van Oldenbarnevelt. After Oldenbarnevelt was sentenced to death in the Trial of Oldenbarnevelt, Grotius and Hogerbeets, she and the French ambassador Benjamin Aubery du Maurier tried in vain to have the death sentence commuted. Charlotte of Bourbon was a Princess consort of Orange as the third spouse of William the Silent, Prince of Orange, the main leader of the Dutch revolt against the Spanish. She was the fourth daughter of Louis, Duke of Montpensier and Jacqueline de Longwy, Countess of Bar-sur-Seine. She died (65) at Fontainebleau. ↑ Couchman & Crabb 2005, p. 163. Maurice of Orange was stadtholder of all the provinces of the Dutch Republic except for Friesland from 1585 at earliest until his death in 1625. Before he became Prince of Orange upon the death of his eldest half-brother Philip William in 1618, he was known as Maurice of Nassau. Johan van Oldenbarnevelt, Lord of Berkel en Rodenrijs (1600), Gunterstein (1611) and Bakkum (1613) was a Dutch statesman who played an important role in the Dutch struggle for independence from Spain. Louise Juliana of Orange-Nassau was a countess of the Palatinate by marriage to Frederick IV, Elector Palatine, and regent during the minority of her son from 1610 until 1611. She was the eldest daughter of William of Nassau, Prince of Orange and his third spouse Charlotte de Bourbon-Montpensier. Countess Elisabeth of Nassau was the second daughter of prince William of Orange and his third spouse Charlotte of Bourbon. She was Duchess of Bouillon by marriage. Louis de Bourbon was the second Duke of Montpensier. He was the great great grandfather of la Grande Mademoiselle. Châtillon-Coligny is a commune in the Loiret department in north-central France. Countess Anna of Nassau was a daughter of William the Silent and his second wife, Anna of Saxony. She was the wife of William Louis, Count of Nassau-Dillenburg. 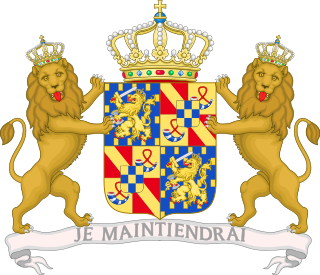 Marie Louise of Hesse-Kassel was a Dutch regent, Princess of Orange by marriage to John William Friso, Prince of Orange, and regent of the Netherlands during the minority of her son and her grandson. She was a daughter of Charles I, Landgrave of Hesse-Kassel, and Maria Amalia of Courland. She and her husband are the most recent common ancestors all currently reigning monarchs in Europe. Catherine of Nassau-Dillenburg was a daughter of William I, Count of Nassau-Dillenburg and his second wife, Juliana of Stolberg. She was a sister of William the Silent. Jacqueline de Montbel d'Entremont was a French courtier, possible artistic muse and huguenot, known for her experiences during the French wars of religion. 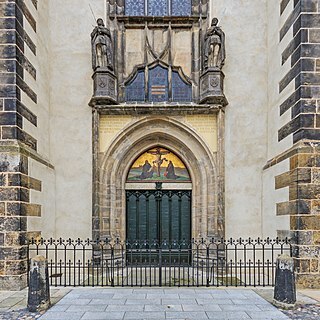 After her first husband's death, she converted to Protestantism and married Gaspard II de Coligny, who was later killed in the St Bartholomew's Day Massacre. Couchman, Jane; Crabb, Ann (2005). Women's letters across Europe, 1400–1700: form and persuasion. Ashgate.